Eurobarometer is a series of public opinion surveys conducted regularly on behalf of the European Commission since 1973. These surveys address a wide variety of topical issues relating to the European Union throughout its member states. The Eurobarometer results are published by the European Commission's Directorate-General Communication. Its database since 1973 is one of the largest in the world. The surveys are conducted by TNS Opinion. In 1970 and 1971, the European Commission conducted surveys in the six member countries (at that time) of the European Community (Belgium, France, West Germany, Italy, Luxembourg and the Netherlands). These surveys assessed public opinion on individual national priorities as well as integrated European functions and organisations, including the Common Market (European Economic Community). Regular semi-annual polls of member nations - now also including Denmark, Ireland and the United Kingdom - began in September 1973, with the survey series first being given the name Eurobarometer in 1974. The fieldwork for Euro-Barometer 1 was conducted in April-May of that year, with results published in July. A first international survey on attitudes towards European unification ("Attitudes towards Europe") was carried out in 1962 at the request of the Press and Information Service of the European Communities in (Belgium, France, West Germany, Italy, Luxembourg and the Netherlands). The Standard Eurobarometer survey series is a cross-national longitudinal study, designed to compare and gauge trends within Member States of the European Union. This survey is carried out each autumn and spring. Although the range of questions has been expanded over the years, the programme aims to keep most of the survey constant, so that data is comparable over time. Starting with Eurobarometer 34 (1990), separate supplementary surveys on special topics have been conducted under almost every Eurobarometer wave. Special irregularly repeated modules investigate topics such as agriculture, biotechnology, consumer behaviour, elderly people, energy, environment, family, gender issues, health, immigration, poverty, regional identity, science and technology, urban traffic, working conditions, youth, etc. from a European perspective. In the case of some supplementary studies, special youth and elderly samples have been drawn. 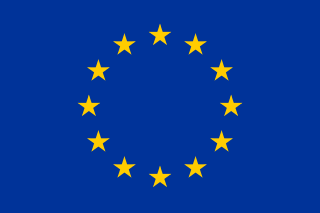 The Flash Eurobarometer was introduced in the 1990s and consists of interviews, conducted by telephone, which are undertaken on an ad hoc basis. The main advantage of the Flash survey, as opposed to a normal Eurobarometer survey, is that it is much faster, providing results almost instantaneously. In addition, it is more suitable to the targeting of specific groups within the EU population. The Central and Eastern Eurobarometer series was carried out annually on behalf of the European Commission between 1990 and 1997. The CEEB surveys monitored economic and political changes, as well as attitudes towards Europe and the European Union, in up to 20 countries of the region. In 2001, the European Commission launched a series of surveys in the 13 countries that were applying for European Union membership under the title of "Candidate Countries Eurobarometer" (initially named "Applicant Countries Eurobarometer" or AC-EB). The CC-EB surveys were carried out in Bulgaria, Republic of Cyprus, Czech Republic, Estonia, Hungary, Latvia, Lithuania, Malta, Poland, Romania, Slovakia, Slovenia and Turkey. Since the EU enlargements of 2004 and 2007, the CC-EB countries that have become Member States have been included in the Standard Eurobarometer. Euroscepticism means criticism of the European Union (EU) and European integration. It ranges from those who oppose some EU institutions and policies and seek reform, to those who oppose EU membership outright and see the EU as unreformable. The opposite of Euroscepticism is known as pro-Europeanism. Eurostat is a Directorate-General of the European Commission located in Luxembourg. Its main responsibilities are to provide statistical information to the institutions of the European Union (EU) and to promote the harmonisation of statistical methods across its member states and candidates for accession as well as EFTA countries. The organisations in the different countries that cooperate with Eurostat are summarised under the concept of the European Statistical System. The Directorate-General for European Civil Protection and Humanitarian Aid Operations (ECHO), formerly known as the European Community Humanitarian Aid Office, is the European Commission's department for overseas humanitarian aid and for civil protection. It aims to save and preserve life, prevent and alleviate human suffering and safeguard the integrity and dignity of populations affected by natural disasters and man-made crises. Lithuania is an EU member state which joined the Eurozone by adopting the euro on 1 January 2015. The Czech Republic is bound to adopt the euro in the future and to join the eurozone once it has satisfied the euro convergence criteria by the Treaty of Accession since it joined the European Union (EU) in 2004. The Czech Republic is therefore a candidate for the enlargement of the eurozone and it uses the Czech koruna as its currency, regulated by the Czech National Bank, a member of the European System of Central Banks, and does not participate in European Exchange Rate Mechanism II. The European Union Agency for Fundamental Rights is a Vienna-based agency of the European Union inaugurated on 1 March 2007. It was established by Council Regulation (EC) No 168/2007 of 15 February 2007. Religion in Europe has been a major influence on today's society, art, culture, philosophy and law. The largest religion in Europe is Christianity, but irreligion and practical secularization are strong. Three countries in Southeastern Europe have Muslim majorities. Ancient European religions included veneration for deities such as Zeus. Modern revival movements of these religions include Heathenism, Rodnovery, Romuva, Druidry, Wicca, and others. Smaller religions include Indian religions, Judaism, and some East Asian religions, which are found in their largest groups in Britain, France, and Kalmykia. The International Social Survey Programme (ISSP) is a collaboration between different nations conducting surveys covering topics which are useful for social science research. The ISSP researchers develop questions which are meaningful and relevant to all countries which can be expressed in an equal manner in different languages. The results of the surveys provide a cross-national and cross-cultural perspective to individual national studies. Through 2015 58 countries have participated in the ISSP. The Directorate-General for Economic and Financial Affairs is a Directorate-General of the European Commission. The DG ECFIN is located in Brussels, Belgium, and Luxembourg. Its main responsibility is to encourage the development of Economic and Monetary Union both inside and outside the European Union, by advancing economic policy coordination, conducting economic surveillance and providing policy assessment and advice. Sweden does not currently use the euro as its currency and has no plans to replace the krona in the near future. Sweden's Treaty of Accession of 1994 made it subject to the Treaty of Maastricht, which obliges states to join the eurozone once they meet the necessary conditions. Sweden maintains that joining the ERM II is voluntary, and has chosen to remain outside pending public approval by a referendum, thereby intentionally avoiding the fulfilment of the adoption requirements. Religion in the European Union is diverse. The largest religion in the EU is Christianity, which accounts for 71.6% of EU population. Smaller groups include those of Islam, Buddhism, Judaism, Hinduism, and some East Asian religions, most concentrated in Germany, Britain and France. Also present are revival movements of pre-Christianity European folk religions including Heathenism, Rodnovery, Romuva, and Druidry. The European Health Examination Survey (EHES) is an ongoing series of large-scale clinical epidemiological studies. It is a cooperative effort among multiple European nations, in concert with the European Union (EU), the European Economic Area (EEA) and the European Free Trade Area (EFTA). While actual data collection is carried out through the health ministries of each participating nation, the coordination of these efforts across borders is under the jurisdiction of the European Commission's Directorate-General for Health and Food Safety. European 112 Day is an international day that is annually held on February 11. It was introduced by the European Union and aims to promote the existence and appropriate use of the Europe-wide emergency number 112.